We aim to blow the lid off this caper! The city has its secrets, and we're going to share them all. Maybe you can help. You can vote below or by clicking here. • Voting closes at 11:59 p.m. on March 22. After that, it'll be too late! 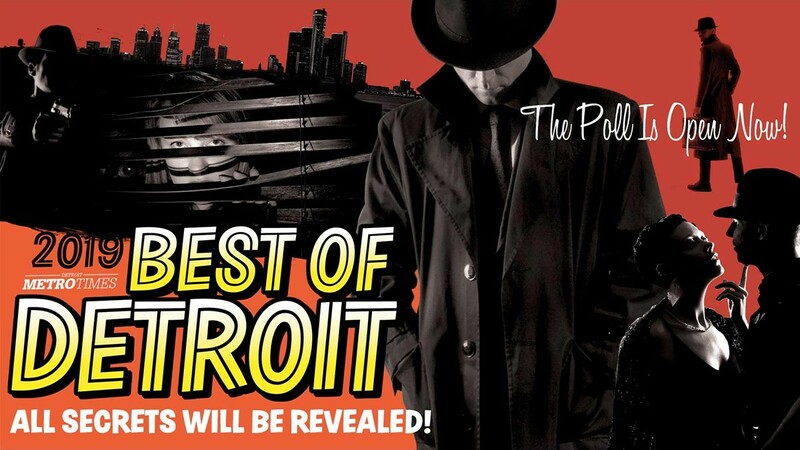 • We'll share the scoop in our Best of Detroit issue, due on newsstands April 24. • As always, we are asking you tell us about your local favorites. Please celebrate what makes Detroit unique by nominating locally owned businesses wherever possible. • You must register and turn off pop-up blockers before voting. • Ballot stuffing: If we suspect that you obtained your votes unfairly — via third-party vendors, paying people to vote for you or by voting for yourself repeatedly using fake accounts — you'll be disqualified from winning your category. • You may vote once per day.